Garden of England’s ‘beerjolais’ ambition: From hop bine to brewery in less than 12 hours! Step aside Beaujolais nouveau, the English are launching a beer event to capture the unique flavours of the first, fresh hops of the harvest and they hope it will become as popular as the seasonal wine run from France. 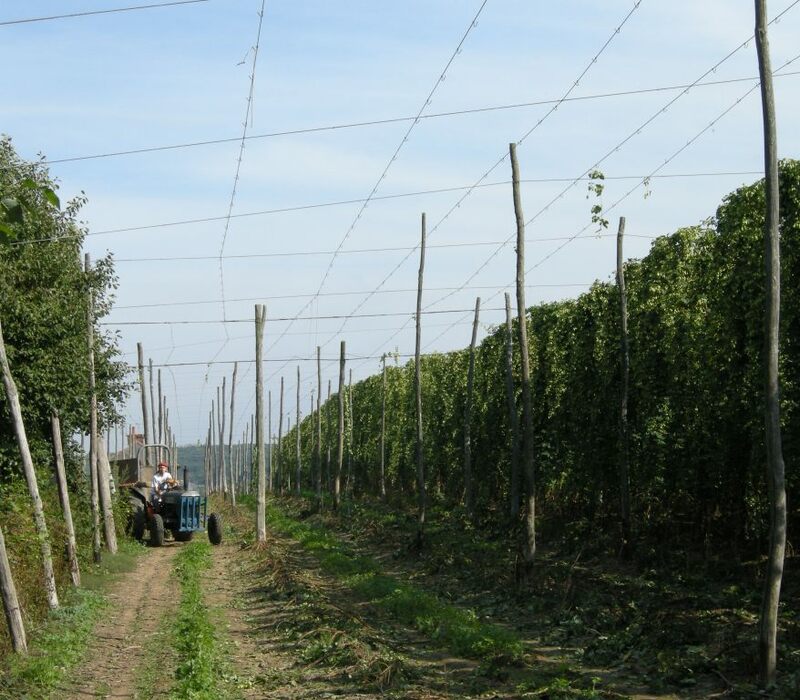 The county famed for its hops, historically picked by a seasonal influx of Londoners, is holding the first ever Kent Green Hop Beer Fortnight, beginning in late September. More than 20 of the county’s breweries are making their own versions of the ale which features fresh hops used within 12 hours of being picked. These ‘green’ hops give the beer a characteristic light and fresh flavour because they retain oils usually driven out by the traditional drying process used to preserve them for use long after they have been harvested. “We only make green hop beers once a year, at the tail end of summer, and there’s something about their flavours that seems to capture the last of the sunshine just as autumn puts a chill in the air,” says Martin Guy of Canterbury Ales. As if the excitement of a unique, only-brewed-once-a-year drink wasn’t enough the process of making Kent Green Hop Beer is also rather dramatic. Brewers pumped with adrenaline undertake a mad dash between hop garden and brewery so the green hops they use are as fresh as can be. “Although we allow ourselves up to twelve hours between picking and brewing I prefer to get them into the beer much quicker. I’ve done it in less than four hours before now,” says Eddie Gadd of The Ramsgate Brewery, one of the event’s founders. After the hops are collected there is a race back to the brewery to add them to the beer, brewing of which will already be underway. Each brewer’s recipe is different but what doesn’t alter is the need to get the fresh hops into the beer as soon after picking as possible, hence the need for speed. Some add the sacks of flower heads to the beer at the boiling stage filling the air with the aroma of fresh hops – an intense herbal fragrance that has been compared to a giant, hoppy essential oil burner – others may add them later in the brew creating an entirely different flavour. Whatever the methods they get an enormous kick out of brewing with green hops. “It’s the highlight of the year and feels like a celebration of hops,” says Eddie. “Brewers sometimes take them for granted and drinkers don’t always realise that it’s these little flowers that make the flavour of their beer,” he adds. The first ever Kent Green Hop Beer Fortnight will be launched at Canterbury Food and Drink Festival (on 28/29/30 September) and the brewers hope the launch venue will contribute to ongoing efforts to raise beer’s image from a generic tasting beverage drunk only in pints, to something sophisticated to be matched with food or savoured for its flavours if consumed separately from a meal. They compare the difference between green hop beer and traditional recipe brews with cooking with fresh herbs rather than dried ones. The comparison echoes the essence of the beer and is one of the reasons brewers want to make the most of the connection with food. “We think launching at the festival has the potential of awakening beer-curiosity among food lovers,” says Martin, “but we want as many people as possible to have a chance to try Kent Green Hop Beers so they will also be available at pubs throughout the county.